Fetch brings the world closer together and delivers power to the individual. We’ve built the world’s first truly smart ledger, allowing data to act autonomously. Using machine learning and AI technology, we enable data to cooperate, solving problems instantly and presenting answers directly to you. Fetch is the missing critical infrastructure for tomorrow’s digital economy. Fetch is a decentralised digital representation of the world in which autonomous software agents perform useful economic work. This means that they can perform tasks, such as delivering data or providing services, and are rewarded with a digital currency for their efforts — the Fetch Token. These agents can be thought of as digital entities: life-forms that are able to make decisions on their own behalf as well as on behalf of their stakeholders (individuals, private enterprises and governments for example). Fetch's digital world is exposed to agents via its Open Economic Framework (OEF) and is underpinned by unique smart ledger technology to deliver high performance, low cost transactions. The ledger delivers useful proof-of-work that builds market intelligence and trust over time — growing the value of the network as it is used. 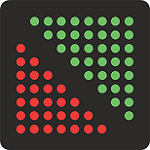 Fetch can be neatly interfaced to existing systems with minimal effort, allowing it to take advantage of the old economy whilst building the new: plug existing data in to Fetch and watch markets spontaneously form from the bottom up. Applications: The applications of such technology are many. By bringing data to life, Fetch solves one of the greatest problems in the data industry today: data can't sell itself. With Fetch, it can: data is able to actively take advantage of any opportunity to exploit itself in the marketplace in an environment that's constantly reorganising to make that task as easy as possible. Internet-of-things (IoT) devices inhabited by Fetch agents can increase utilisation by capitalising on short-lived opportunities to sell the information that they possess in existing as well as new markets: an agent in a vehicle can provide weather and road conditions by simply relaying the activity of its windscreen wiper and washer activity. Fetch's decentralised digital world enables the emergence of new marketplaces and allows this "unreal estate" to place relevant markets near each other for ease of exploration. The ability of agents to serve as representatives for data, hardware and services enables a better coordinated delivery of highly or even loosely connected services such as transport and insurance. Fetch creates a huge population of digital data analysts and sales agents who can work together, alone, or with human or corporate masters to reduce the cost of delivering complex solutions in our daily lives. New opportunities: Fetch's autonomous agents actively push their value out to those who need it or who unknowingly need it. The Open Economic Framework provides a digital world for them to inhabit that grows in value as it is used: over time, the collective intelligence that is formed provides unparalleled guidance allowing for high speed, high reliability transactions. The network's expanding compute power provides all agents with the ability to gain new insights and understanding from their data. With machine learning technology integrated throughout the system, from the ledger to the agents themselves, it is a network that enables, encourages and deploys intelligence, and that actively creates new knowledge. Fetch provides the node structure, the OEF API, and agent Development Toolkits to make agents easy to deploy. Additionally, entire new industries can be built from AEA construction as opportunities exist to replace human intermediaries with trusted digital agents. Previously unprofitable data and services become valuable with Fetch, as the cost and friction of applying them is dramatically reduced. Data and hardware can now get up on their own two feet, get out there and sell themselves entirely free of human intervention. Fetch Token: Fetch are issuing a fixed number of divisible tokens that are used on the network as the digital currency for all transactions, as well as for network operations such as secure communications. Tokens can also serve as a refundable deposit for both nodes and agents wishing to perform certain operations (as a security mechanism that discourages bad behaviour). As Fetch secures its foothold in the data, transport, services, and IoT industries its token grows in demand as each sector makes a larger and larger contribution to the Fetch network’s economic throughput. An initial utility token will be issued on Ethereum for the token sale. Fetch.AI London meetup - announcing the roadmap & long term plan. Fetch.AI Berlin Meetup - deep dive on scalable smart ledger. Fetch.AI Amsterdam meetup: introducing the Fetch Virtual Machine & algorithms. Ledger code release.Useful Proof of Work/Consensus White Paper. Initial Fetch Public test-net. 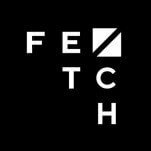 Fetch.AI Toronto Meetup: Developing Fetch Agents & the Fetch economic model. Fetch.AI Chicago Meetup: introduction to Fetch.AI (decentralised AI & ML). Digital world tools and test-net release.